📷2 in 1: #ColorChallenge WednesdayYellow "Beautiful Fresh Into The Spring " And " Steemibloggers Needs Your Help"
Here is my contribution " Beautiful Fresh Into The Spring " to colorchallenge wednesdayyellow by @kalemandra. Panasonic DMC-LX 100 without editing. Show Some Steem Love To @steemitbloggers! Until now it looks good but as we head into the last leg of the 20k #dpoll, I would like to ask if you will support our @steemitbloggers community with your vote. Life is all about choices and there are certain moments in time when making the RIGHT choice carries an enormous amount of weight. The @theycallmedan 20k delegation poll is one of those moments. There are plenty of contenders for the first place position - all amazing communities and initiatives... but only ONE of the top 3 contestants is not "niche specific" and is inclusive to the Steem community at large... supporting people from EVERY SINGLE one of the top 20 nominees. 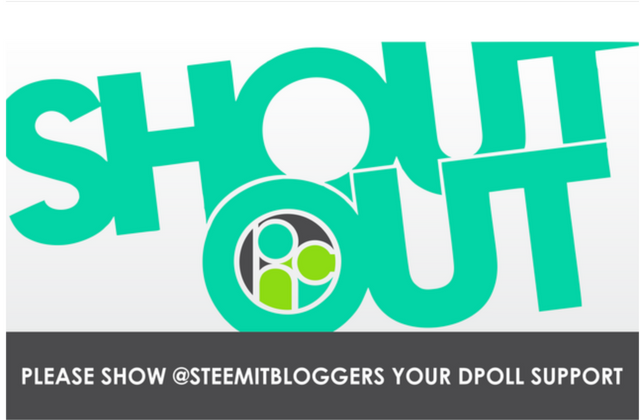 The @steemitbloggers community is comprised of individuals who are tirelessly dedicated and enormously passionate to not only the upliftment and betterment of #STEEM but to the people actively involved in it too! Our efforts, support and influence extends far and wide into some of the most revered and loved communities, initiatives, apps and individuals on the Steem blockchain. The 20k delegation will be in EXCEPTIONALLY good hands and its benefits will spread far! I have already voted :) Excellent flowers, they warm with warmth, and with the hope that spring is coming. Yellow is such a beautiful color . Thanks my friend. Thank you So much a always for your support!! !